Esta propriedade histórica é nomeada em homenagem aos índios nativos americanos que estabeleceram uma 'oficina lítica' aqui há 3.000 anos para fabricar pontos de projétil (pontas de flechas). ArrowHead Pointe está localizado no lado oeste de Otsego Lake, cerca de 7 km ao norte de Cooperstown. Oneida Lodge Norte fica a menos de 200 metros do lago e foi profissionalmente decorados para proporcionar a experiência de férias à beira do lago mais agradável em toda a região. Cercado por vigas e paredes de vidro com vista sobre o lago enorme, nosso hotel é um destino em si mesmo. O nível do lago possui dois lindamente decorados rainha suites. Ambas as suites têm casas de banho em mármore / granito com AHP "assinatura" de cedro artesanais e pedestal burl pias feitas com vasos de vidro transparente. Este nível mais baixo é o lar de a sala de imprensa com mobiliário muito confortável (incluindo uma rainha sofá-cama), um bar completo e televisão de ecrã plano. Fora dos sliders francês é um 30 'x 15' Bluestone pátio com degraus de pedra e caminhar até o lago e The Boathouse. O nível principal está aberta para um excelente entretenimento e 'lago país vive ", apresentando cozinha sonho de um chef, sala de jantar com uma mesa de laje longo pau-brasil de 10 pés, grande sala, sala de estar, lareira a lenha ... todos expostos a uma vista magnífica sobre Otsego Lake através de paredes de portas de vidro francesas que conduzem a um grande deck coberto. O ponto focal do hotel é o átrio, abrigando um pinheiro branco 42 "de altura, 245 anos de idade, apoiando a 3 andares escadaria log aberto tampado com as luzes do céu eletrônicos. O piso superior é o lar de um quarto rei e um quarto de casal ... ambos com varandas exteriores cobertas com vista para o lago. Possui um quarto wainscoted 16 'tetos de catedral de altura eo outro tem tectos que se elevam 20' alta ... tudo com expostas, mão-pelados logs. Ambos têm armários walk-in e dois quartos têm pares de clarabóias eletrônicos. Na beira do lago é o nosso clube ... The Boathouse. Esta estrutura log artesanais 2 andares dispõe de 3 lareiras, 3 casas de banho e muito espaço para relaxar, ler e tirar uma soneca! Apenas fora é a nossa piscina aquecida, nadar praia, gazebo à beira do lago, caiaques, pesca e cais privado para o seu barco ou um barco de aluguel. As colinas oferecem um cenário perfeito para todos os tipos de atividades durante todo o ano de ... jogar golfe em um dos 3 cursos nas proximidades, visitar cervejarias locais, uma destilaria e vinha. Restaurantes, museus, de renome mundial Glimmerglass Opera / Festival, e claro ... esportes aquáticos em nosso cristalina Otsego Lake. Autumn transforma as encostas em uma variedade espetacular de cor. Aproveite as festas locais ou aconchegar-se à lareira e desfrutar de um grande livro. O inverno é uma ótima época para explorar a área ... o baseball multidões se foram e Cooperstown retorna à sua pacífica auto ... esqui cross country, patinação e tubos ... mesmo calçando através do lago congelado. Mas a melhor época para visitar Cooperstown é agora! Disponível a custo adicional: massagem terapêutica em casa, chef particular, limpeza diária da casa e lavandaria. Aluguer de barco podem ser reservados e atracou no local pronto para sua chegada. Os banheiros possuem toques especiais que variam de granito e mármore, cedro personalizado e pedestal de vidro afunda para incrustadas chuveiro andares seixo ... tudo aquecido radiante durante os meses de férias mais frios. Nossa pousada está localizada no exclusivo ArrowHead Pointe em Otsego Lake enclave. Desfrute à beira do lago de estilo resort de férias em uma casa do dólar multi-million. The Boathouse é nosso clube à beira do lago e adjacente à piscina e lago. Dentro desta estrutura de log são dois andares de espaço de entretenimento, 3 casas de banho, kitchenette, 3 lareiras. Mesmo um deslizamento doca aguarda o seu próprio barco ou um barco alugado. A lovely place to sit back and relax with friends. I’m sure in the summer it is much more hectic, but for us with the fire places and excellent kitchen it was just what we were looking for. The property is amazing. Well worth it. My family stayed here over US Thanksgiving weekend. Everything about it exceeded our expectations. The house was large, spacious, and very clean. The kitchen was well stocked, so we didn't have to buy utensils or anything like that. Since it was a cold, snowy weekend, we didn't partake in the outdoor activities that you can enjoy in the summer. However, our house was very warm and cozy. The TVs all worked, the WiFi was good, and there were plenty of board games for us to use, too. The house was located about halfway down a somewhat steep hill, so we were concerned about being able to get back up it (because of ice). When we arrived, we bumped into one of the caretakers, and we mentioned this to him. We left the car at the top of the hill that day and went back out later, but when we came back , we saw that the caretaker had did a great job in de-icing the hill, which we hadn't asked him to do. Just an awesome gesture! Some guides and suggestions were provided of things to do and eat, which were helpful. Beyond that, the views are very scenic, too, of the lake. Nice and relaxing. Very glad you had the opportunity to see the home with fresh snow! Please come back as Preferred Guests in the spring or summer to enjoy all the fun that the lake has to offer. We stayed for a long weekend in Cooperstown and thoroughly enjoyed our stay. The cabin was so comfortable and watching the snow fall over the lake was beautiful. Our kids loved the game room and we played lots of board games by the fire. Our host was very helpful and we would definitely recommend coming here. As a youngster I used to really love the early season snowfall...and I'm happy to know the spirit lives on! We look forward to welcoming your family to another visit in the future as Preferred Guests! Amazing House on an Amazing Lake!!! We hated leaving. So Beautiful!! The house was even better than it looks in pictures. Plus the welcome guide they gave us was spot on about all the area attractions and places to eat!!! We agree with you, Tom...Summer vacation on Otsego Lake is the BEST! Very glad you enjoyed your Cooperstown experience and we look forward to welcoming you back as Preferred Guests! We rented the house with 3 other sets parents who's children were participating in the Cooperstown Dreams Park experience. The house and grounds were beautiful, the kayaks and canoe where very nice additions to the experience; especially since the lake front of this home is very shallow and there was a lot of grass on the bottom of the lake that was freaky for the non-nature lovers. The laundry room, wireless LAN connectivity (cellular service in the area is spotty) and kitchen were very well stocked. It is a very nice place for a family visiting the lake and area. The boat house had lots of games and options. You won't be disappointed. Concerns I had were with house rules, specifically those built for Cooperstown Dream Park families. Renters are not allowed to have over 10 people stay the night (including ball players) and no more than 4 day guests (including ball players). And, renters will be checked up on. It was uncomfortable and unfamiliar for the professional executives and business owner that made up our group who typically rent this level of the house. Neither the children nor parents could include an adequate number of friends on the experience. If this is your first time with Cooperstown Dreams Park, there are times your son/daughter’s coach may want to send the team to the parents so they can have breaks and there is a good chance you will have your children out of the barracks Thursday night before the Friday departure. My suggestion, if you want to be social with other families or with more than 4 ball players while in Cooperstown, look at other listings. Hi Donna and friends, we appreciate all feedback from our guests. To clarify your comments; all of our property listings state the maximum number of over night guests and day visitors. And our lease/rental agreement, which you had agreed to, includes the same information... as well as all follow up communications. Our goal is to provide guests with the absolute finest and most enjoyable lake front experience. This simply isn't possible if the property is overpopulated. By stating this info upfront, our guests don't face any surprises when they arrive. 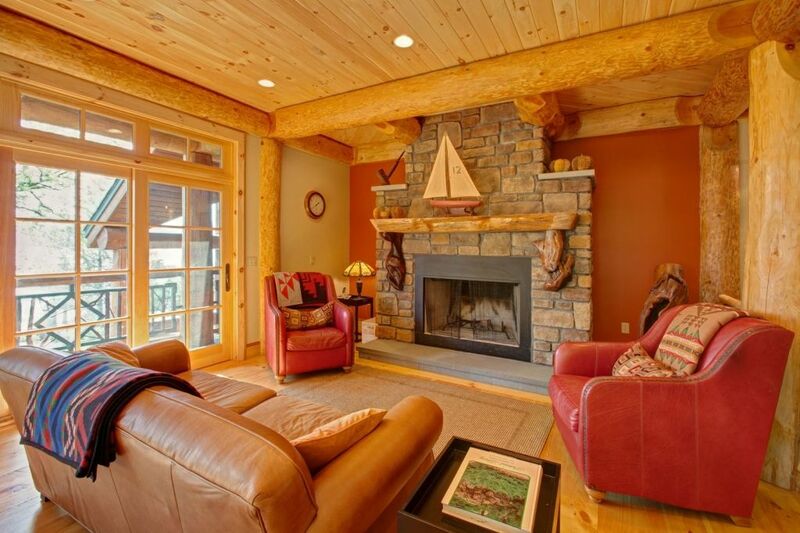 This home is a showstopper and has everything a guest needs for memorable lakeside living! Best property on the lake! Soothing water features, rustic natural wood paired with top of the line amenities, convent access to lake and use of water toys, gorgeous pool, and the boat house is an unbelievable added bonus you have to see! Fish or swim from the dock. Cook or grill at home or take all your meals at the Blue Mingo (also fabulous and close). Our stay was one we will not soon forget. unique and enjoyable. Come back this winter as preferred guests and see how spectacular our area looks covered in snow and go hiking on frozen Otsego Lake! Max of 10 overnight guests. Max of 4 day guests. No team parties, gatherings nor team visits. Rates are subject to change prior to reservation confirmation. We strongly recommend you consider purchasing vacation trip insurance. If you cancel with no insurance in place, and we re-rent the homes, we will refund your payment up to the amount for which the home is re-rented less 20% fee.